As I’ve mentioned (once or twice) my wife, son and I have made the move back to the UK. There were a few things I was looking forward about our return, including high speed internet and second-hand bookshops. Unfortunately, whilst there’s quite a few charity shops in the area we’ve relocated to, the pickings are slim when it comes to books. I’ve been used to discovering all sorts of sci-fi and fantasy gems at my old haunts but it seems that around here people either don’t donate books or they just read James Patterson novels. The three novels are: 1. Sos the Rope (1968) 2. Var the Stick (1972) 3. Neq the Sword (1975) The trilogy takes place on a post-apocalyptic Earth. The history is not given in detail, but the landscape is filled with the ruins of the previous civilization, and large areas (referred to as the “badlands”) are still deadly because of radiation, presumably from nuclear war. In North America, there are three main civilizations: the crazies and underworlders, and the nomads who are the main focus of the novels. And then there is The Walking Dead. 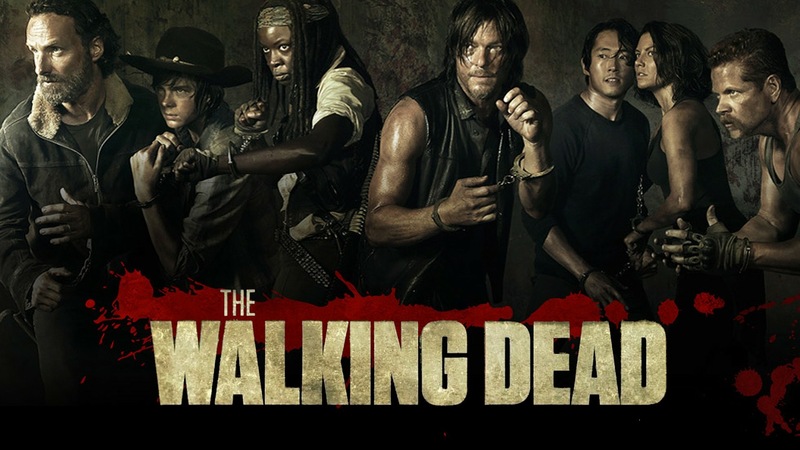 My wife and I totally missed out on season 5 so we are catching up with the zombie apocalypse and Rick Grimes and his crew. The screen writers have done some great work with the adaptation to TV, especially post Governor. We are only about half way through and though our nerves are frayed, it’s good to see the character development continuing with respect to the internal logic of the show. It’s what makes The Walking Dead such compelling viewing; the character driven plots and the realistic portrayal of the situation. As ever, this season is just as fearless at having central characters meet their endings, sometimes under shocking circumstances. I’ve no idea where the rest of series 5 is going but I’m enjoying the fact that Rick has become such a deadly and unrelenting force while Daryl, Glenn and Carol are really coming into their own. The fact that season 6 is underway and being recorded (plus Fear The Walking Dead) means my zombie addiction will be well fed for the foreseeable future. I’ve said it before and I’ll say it again, I’m a fan of pulpy, shared world fiction. 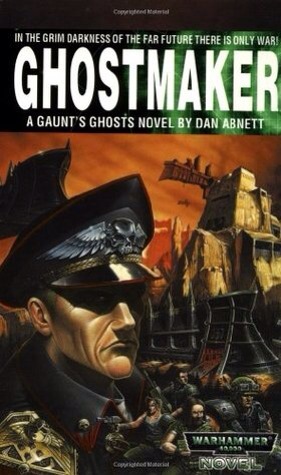 I’ve also been wanting to read something from the Black Library, Games Workshop’s publishing arm, and Dan Abnett, a prolific writer, was a great place to start (lucky for me I found a stack of his Gaunt’s Ghosts novels in a charity shop). Games Workshop is a huge table top gaming company with a number of shared world franchises that include a medieval type setting (Warhammer) and a futuristic setting (Warhammer 40k) among other games. Currently the Black Library seems to be staking out a huge claim in the military sci-fi sub-genre and having heard great things about these books, I couldn’t resist the chance to read some. Ghostmaker is the second book in the Gaunt’s Ghosts series but I never felt out of place starting here. Abnett deftly reveals details and characters with out issue, and the Warhammer 40K universe is equally and cleverly painted into the narrative. As someone with little knowledge of Games Workshop’s intellectual property, this was brilliantly handled: you don’t need to be a gamer to enjoy these books at all. It speaks volumes about Abnett’s skill as a storyteller that you don’t need any previous knowledge of the games as he sets the scene with engaging characters and fast-paced action from the get-go. Employing a series of flashbacks to describe each major character, Abnett cleverly builds a picture of the regiment led by Commissar Gaunt. 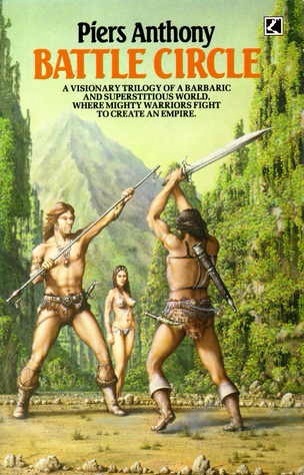 Playing back and forth between the present and the first time Gaunt took command of the Tanith First, we see how these soldiers are shaped, what motivates them and what makes them tick as both fighters and humans in a universe that knows only war. These flashbacks focus in on each of the main actors, operating as a short story within the major framework of the novel. It’s a smart tactic by Abnett as it reveals each man and his relationships to others whilst telling a number of riveting vignettes that highlight what makes the Tanith First and Only such a force in the Imperial army. The main arc of the novel builds and gathers pace beside these shorts, coming to a roaring conclusion. Gaunt and his Ghosts go head to toe with a massive Chaos army and, though other forces are at play, they show their true colours. Driven by the loss of their home world, the Tanith troopers win a decisive victory against all odds. Abnett delivers a great showdown ending but it also sets up the unit for lots more stories as, whilst this is essentially a battle novel, it is also a great introduction for the series. Like a Dirty Dozen or even a Sven Hassel book, what we have is a core group of characters embedded in a never-ending conflict and so it becomes more than just war stories and more about the actors. A fun read and an author I’ll definitely be reading more of, and more Black Library should I come across it. What with so much going on, this is more of a muddle of a review which seems fair considering this post concerns some of the Discworld’s most notoriously distracted characters; wizards. So, in between training at a new gym, studying Scott Sonnen’s Mastering Sambo* and keeping my little boy entertained, we’ve also been unpacking boxes upon boxes where we found my wife’s collection of Discworld novels (which was great). The Last Continent is an exemplary Pratchett novel. From the brilliant pastiche of Aussie culture to the underlying satire regarding evolution and religion, and all that fantastic humour Pratchett packs into his books, not to mention the classic cover art that instantly reminds me of many an hour spent reading this series in my youth, The Last Continent is a wonderful novel. I found it hard, initially, to approach this book without thinking about all that Terry Pratchett’s work means to satire, literature and the fantasy genre, the man himself and the fact that his last Discworld novel has just been published. There’s a lot of nostalgia involved for me as I loved this series when younger. Though I’ve not read a Discworld book for some time, I’ve realised, once again, just how funny, enjoyable and smart these books truly are. 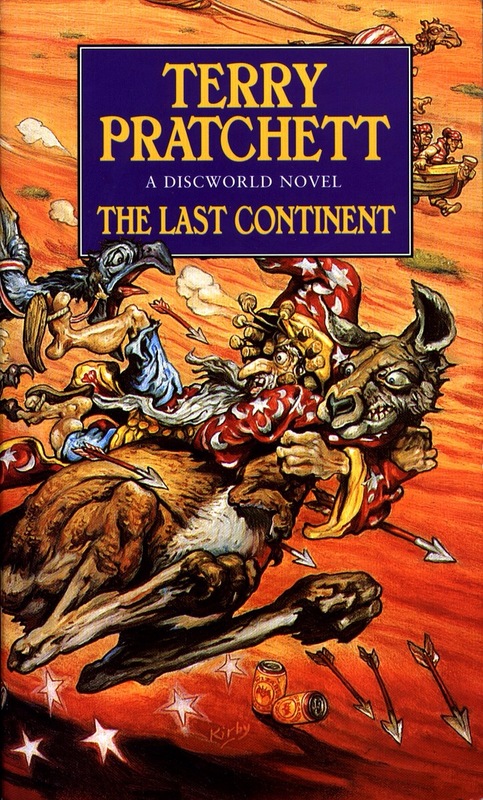 The Last Continent features so many fantastic characters from an atheistic god, a bumbling cacophony of wizards, some cross-dressing blokes, a mad and heavily armed dwarf, a mystic kangaroo and more than it’s fair share of caricature, that the reader is instantly swept up in the action as the loveable Rincewind once again finds himself on a quest of improbable proportions. Borrowing from Australia’s older and new traditions, Pratchett weaves a narrative between dreamtime and drunk time, beer and billabongs effortlessly. On the surface it’s all about rain and the hapless Rincewind as the helpless hero forced into yet another adventure through a comedy of errors. But it’s also a look at how colonies become so removed and unique as the landscape changes the immigrating culture and how those people then identify themselves within and against the place they’ve come to settle within, including the native culture already there. It’s about science and religion, evolution and god, magic and myth. That’s the wonder of Pratchett. How he manages to skew things in such a way as to make us see them new and thus perceive all of the ridiculousness and awe of the situation. His observational comedy is unparalleled in fantasy satire, in my opinion, because on the one hand his work can be read just for its shear humour and fun but, on the other, for it’s underlying commentary on our own strange world. But, though Terry Pratchett is no longer with us, we mustn’t cry because it’s over, we must smile because of all the wonderful stories that he’s left us to enjoy. The first Alien movie scared the pants of me as a kid when it was released and, if I’m honest, put me off the franchise for quite some years. However, once I’d plucked up the courage to watch them, they were all good films powered by Sigourney Weaver’s heroine Ripley. 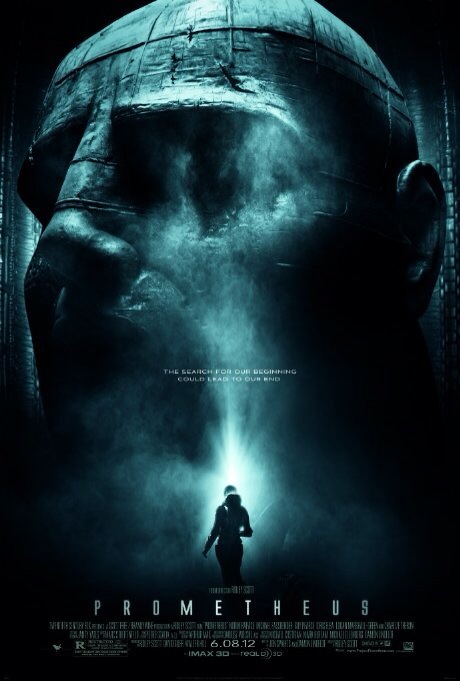 Prometheus is set as a prequel to the Alien series in which we meet an archeologist couple who think they have discovered a clue to mankind’s origin. Enter stage left the blatantly immoral Weyland Corporation, who fund a trip to a distant planet; a planet system which has been depicted in numerous ancient human cultures from cave paintings to Egyptian hieroglyphs and more. The crew, helped by super creepy humanoid robot David (Michael Fassbender) awake from cryogenic sleep and begin to explore this planet, immediately identifying a strange half buried and desolate form of architecture. They discover a vast building full of weird anti chambers, ancient human-like creatures and more. Things, however, soon begin to go wrong for the crew but, unfortunately, it’s also where the film’s plot begins to unravel and lose it’s way. There’s no denying the premise for the movie is great but a number of things make little sense, not least of which the actions of the human and robot characters. Whilst the action scenes are intense and the horror that encapsulates the Alien franchise is firmly in place (think face suckers and gut rippers), the plot jumps from place to place making huge leaps. Frustratingly, some of the more interesting aspects are left unanswered and it appears as if great swathes of the film were left on the editing floor. Though the final scenes clearly show where the classic ‘Alien’ originates from, almost clumsily joining Prometheus to Alien I was left wanting more. I wanted to be shown more about mankind’s originators, I wanted the human crew to have more depth, more reason and I wanted the film to be more cohesive than I felt it was. Entertaining it certainly was but fulfilling it was not, and that’s a shame considering how much promise the cast and plot line offered. I really like pulp fiction for its sheer entertainment factor. The no-frills, action-heavy type stuff can be just what a reader needs. After another huge, cross hemisphere move and with all my books in storage again, as well as a lost kindle cable, it was great to find a shared world novel published by Solaris in my new, local charity shop. Set in the realm of the Afterblight Chronicles – a post apocalypse caused by disease and blood type – author Rebecca Levene has taken the idea to insane proportions. Literally. What follows is a robust adventure across America that features zombie- esque hordes in Cuba, end-of-days parties, eunuchs, naked shoot-outs and more. The main protagonist, Jasmine, has been trapped in a remote government bunker for five years, zonked out of her skull on opiates. 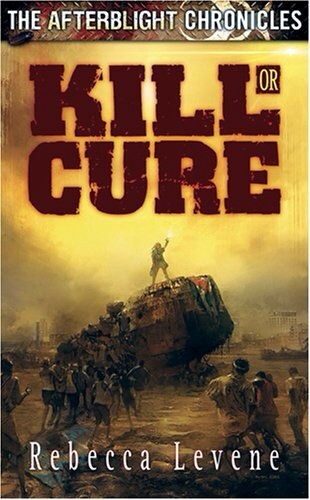 A research scientist looking for a cure to the Cull, she and her colleague create a solution to the Cull, the disease sweeping the planet, but it comes with it’s own set of problems; mainly turning the cured person totally bonkers. After she and her fellow scientist Ash test it on themselves, all hell breaks loose and Jasmine ends up trapped in the bunker trying to quieten the voice in her head. After being freed from her prison by the enigmatic and piratical Queen M, ruler of a flotilla of ships and islands in the Caribbean, Jasmine discovers that Ash has been hard at work, listening to his own voice. Whilst struggling against her addiction and schizophrenia, Jasmine realises she doesn’t want to be indentured to the tyrant Queen. Yet after escaping to Cuba she discovers that Ash has created a new cure, one with terrible consequences and vows to find a way to stop him. Unfortunately she is just a mere pawn in the games of these new world warlords with both Queen M and Ash playing her off for their own nefarious ends. Levene has produced a brilliantly entertaining take on the post-apocalyptic landscape and the plot is fantastic. The twists and turns toward the end are entertaining and the action through out is thoroughly crazy and justifiably brutal. It’s a page turner that keeps the pace going right up to the classic pulp fiction showdown conclusion. I’ll be looking out for more Afterblight Chronicles after this.